On February 11th I’ll be teaching a Valentine’s Day themed, kids sewing class at Hometown Bicycles in Brighton. 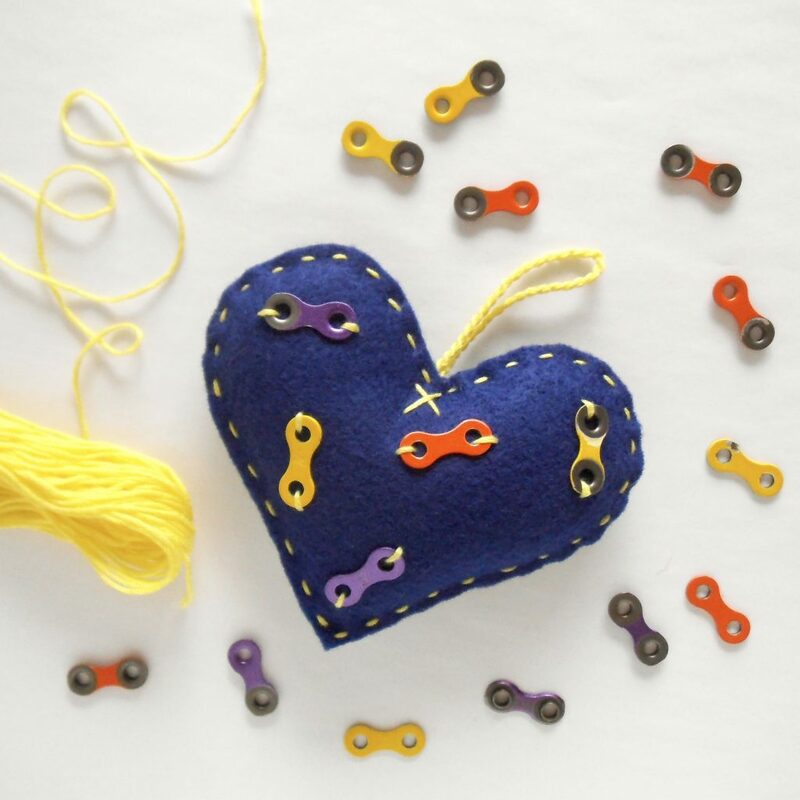 This beginner sewing project will have a fun little bicycle spin on it too, kids will have the opportunity to sew colorful bike chain pieces onto their felt Valentines. This class is for kids ages 6 and up, parents are recommended to stay during the class to assist their child and they’re more than welcome to create their own bike themed Valentine’s Day gifts! 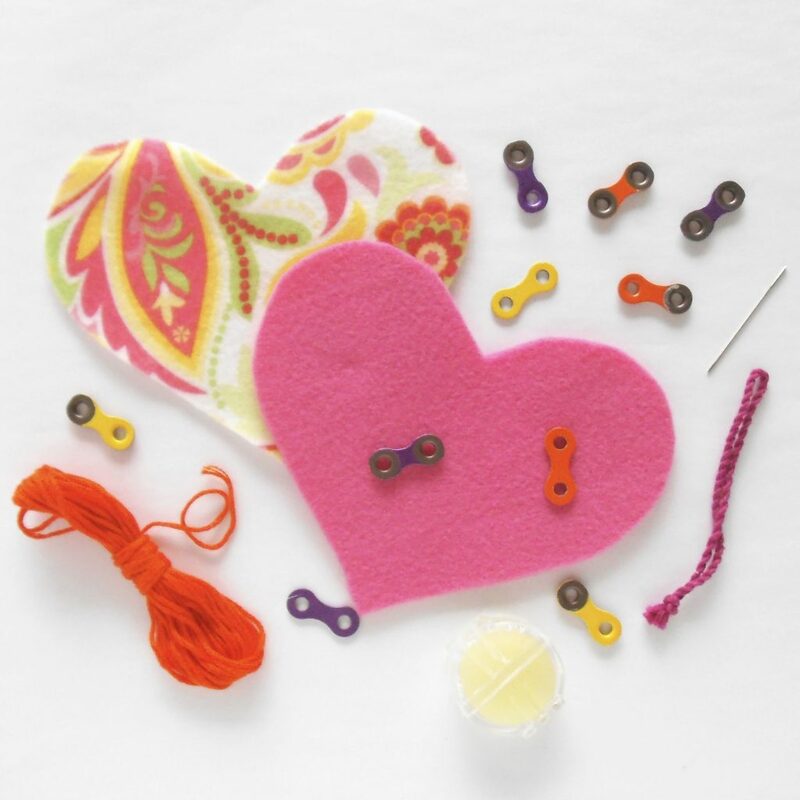 The materials cost for this sewing class will be $7 per person per Valentine. You’re more than welcome to make as many as you like and even take supplies home! Sign up now to save your spot! PLEASE CASH ONLY!! But this is gonna be another crazy weekend : ) I’ve got a little show, Arts & Cheers, with my Art Shop friends on Saturday and Sunday and on Saturday morning I’ll be teaching my, first ever and totally FREE, Kids Sewing Class at the HVCA in Highland. 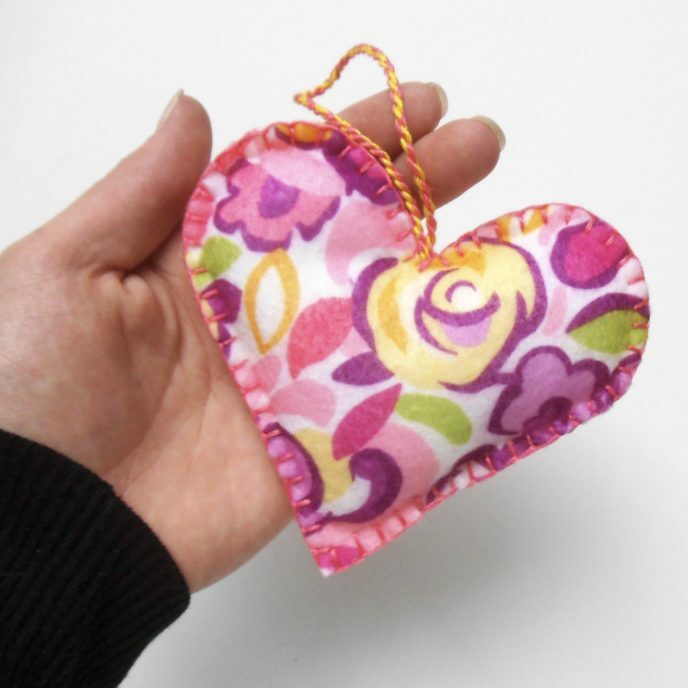 I’m going to be teaching the kids how to hand sew theses adorable heart-shaped ornaments (photo below). I spent ALL yesterday cutting out hearts and making ties for the kids, there will be lots of beautiful colors and patterns for them to choose from. And don’t forget Arts & Cheers, after helping your kids make a special ornament for the tree you can come get some of your Christmas shopping done, support a local business and local artists! So if you’re looking for something to do this weekend I got 2 fun things for you, and they’re right down the road from each other. Hope to see you there!